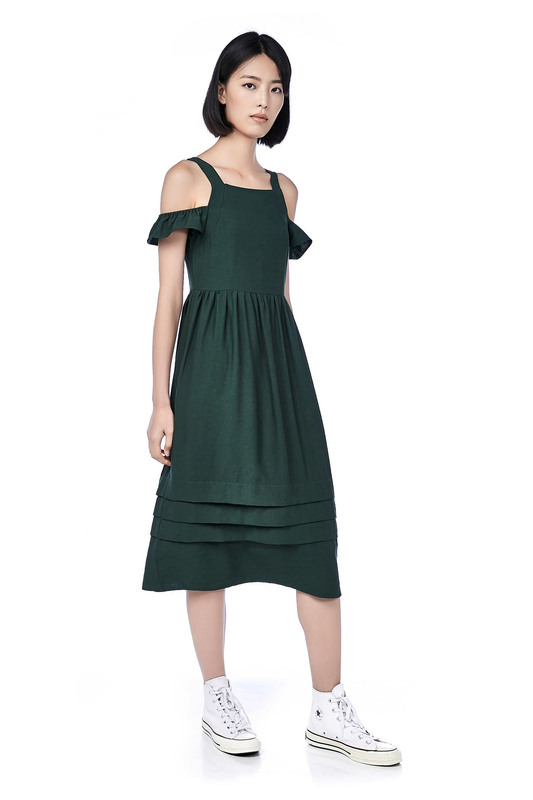 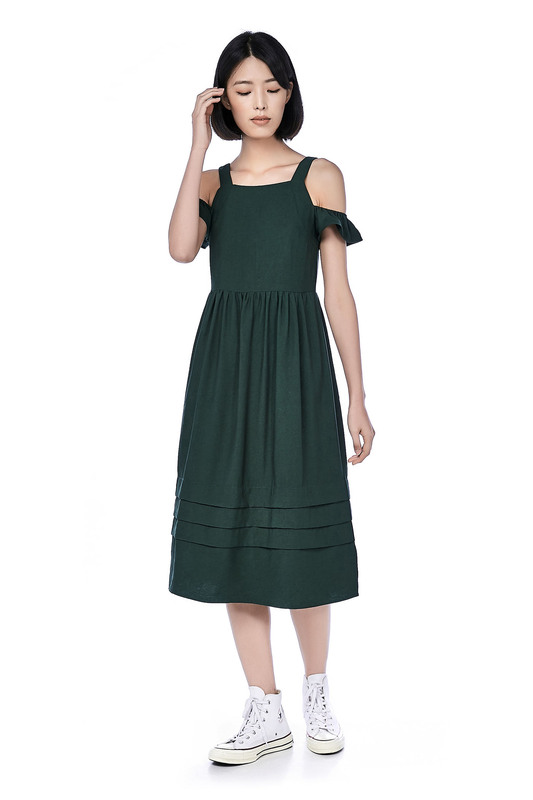 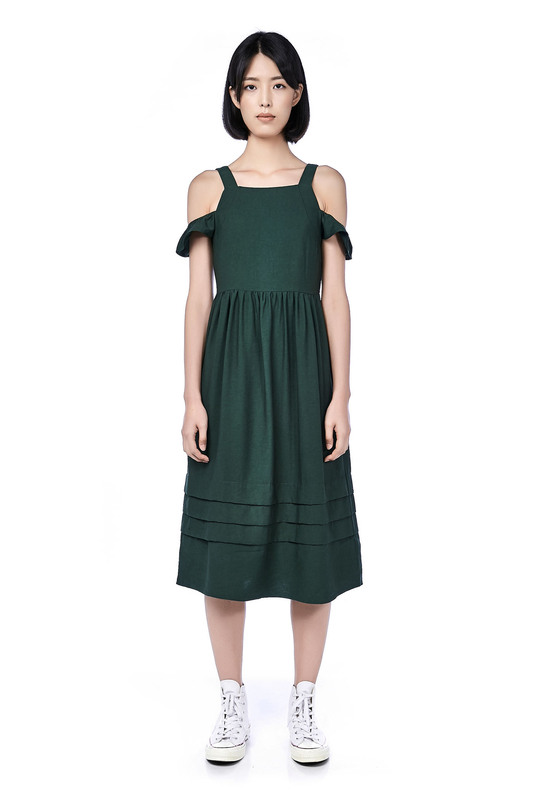 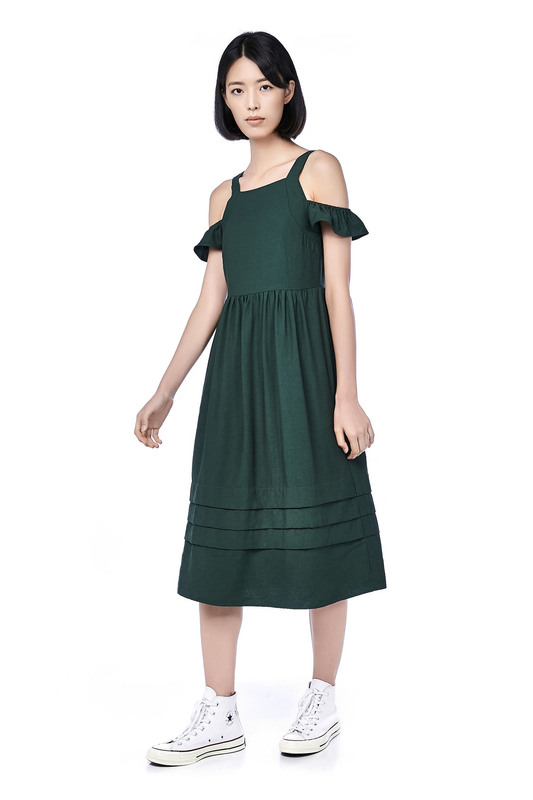 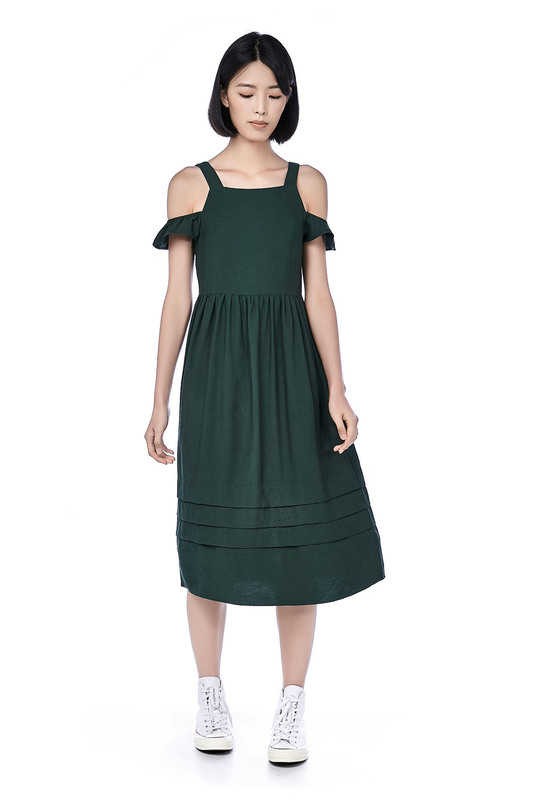 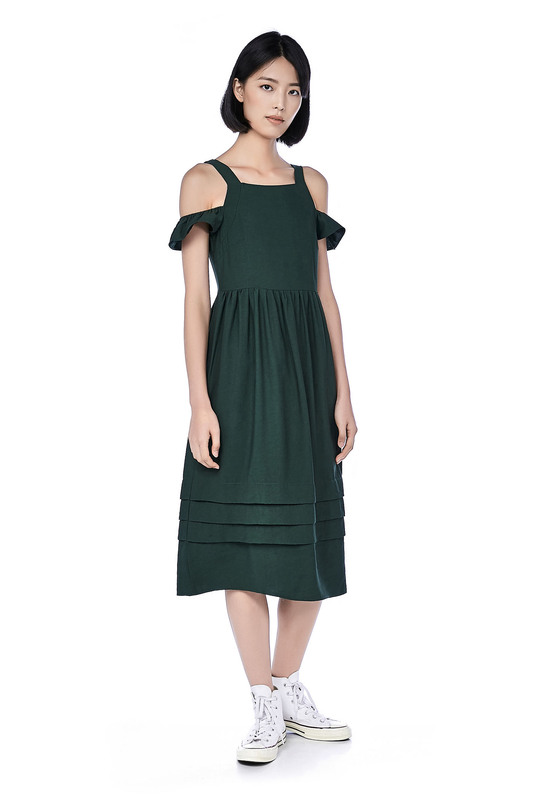 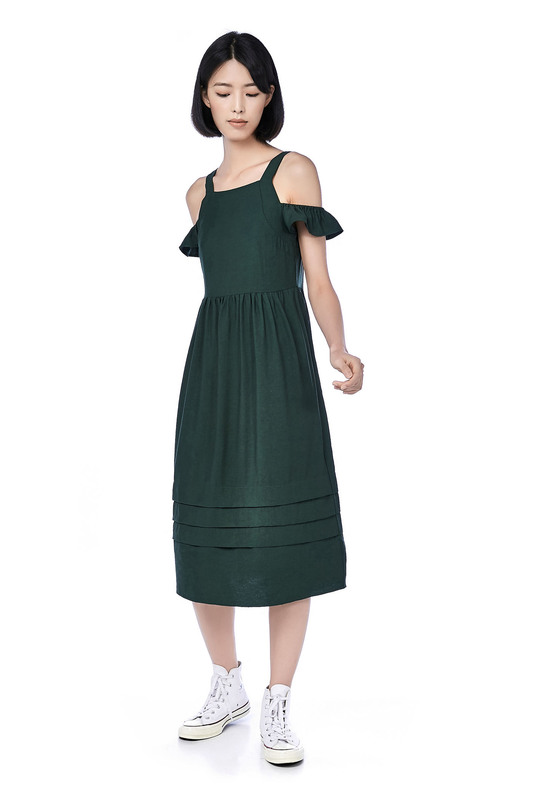 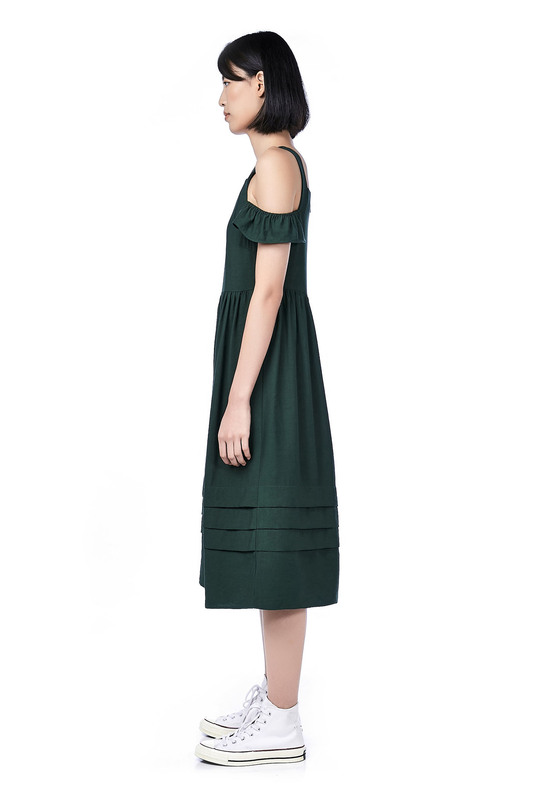 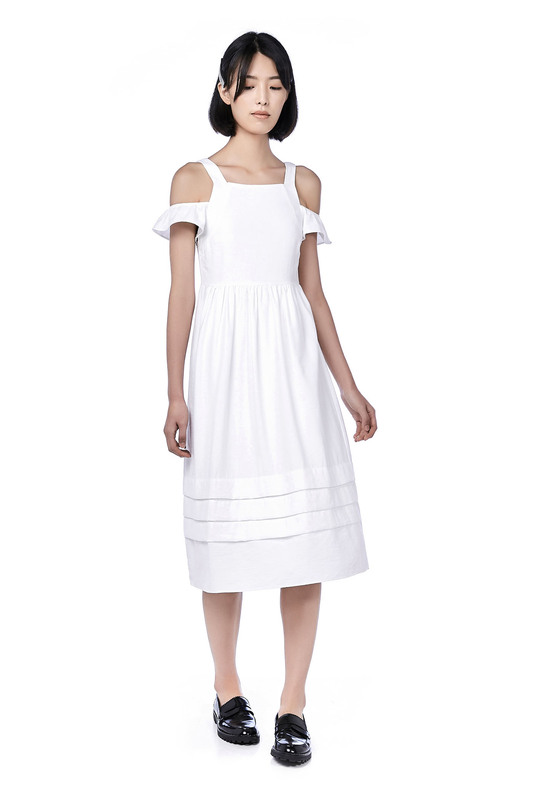 This cold-shoulder dress is made from woven polyester. 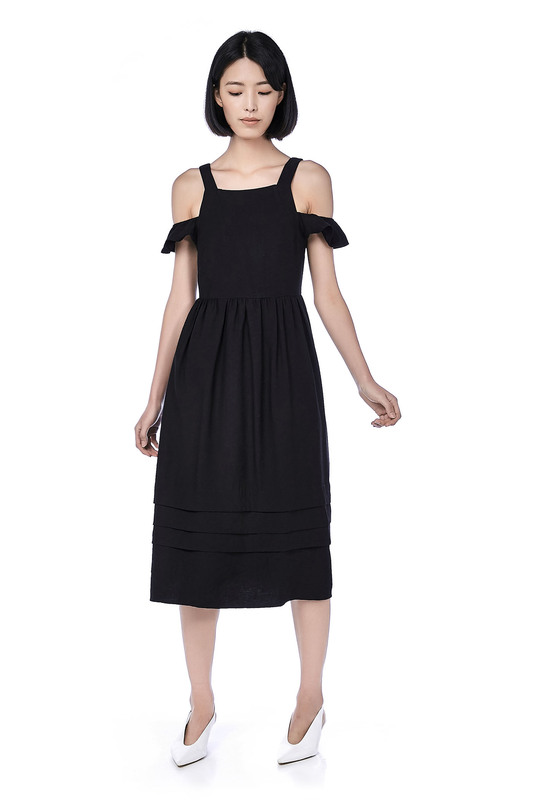 It has a straight neckline featuring wide shoulder straps and a ruffled sleeve detail. 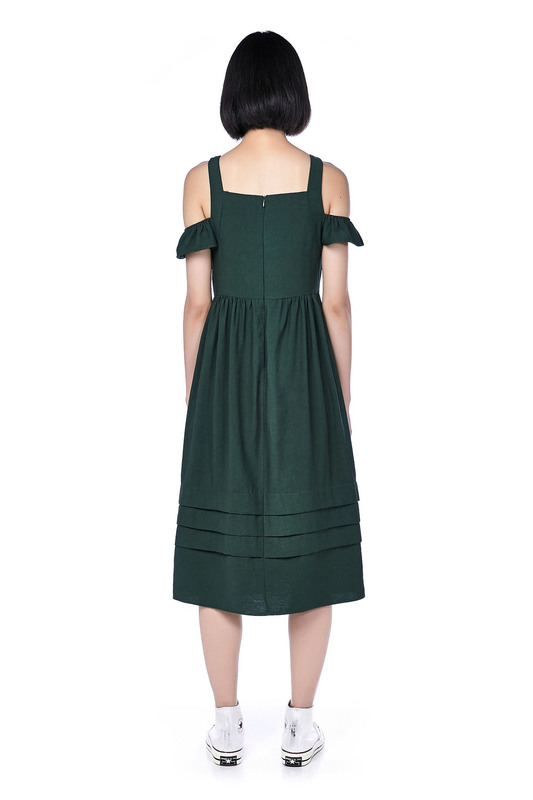 Tuck-hem detail on its hemline with zip closure on the back.